Keffer Mazda Huntersville offers a range of discounts to help drivers in Huntersville, NC; Charlotte, NC; Matthews, NC; Concord, NC; Monroe, NC; and Rock Hill, SC, purchase a vehicle of their own; you simply need to see which one applies to you. Our team greatly appreciates those who have served our country; that is why we offer $500 Bonus Cash to active military personnel. We also have a special appreciation for our senior citizens, you can get a Senior Pricing Quote, both when purchasing your Mazda and during servicing and maintenance. If you currently own a Mazda and are looking to trade it in for a newer model, we give you a $500 Owner Loyalty Cash reward just to show our thanks for choosing to stay in the Mazda family. If you have graduated recently or will be doing so in the near future, we can help you get your first Mazda, even if you haven’t built up your credit history yet. You simply need to meet a few requirements. We also offer a similar program for those looking to purchase their first car in Huntersville, NC; Charlotte, NC; Matthews, NC; Concord, NC; Monroe, NC; or Rock Hill, SC. Our First-Time Owner Program is designed to help you get a Mazda despite no or limited credit, much like the College Graduate Program. Please select the savings program(s) you are eligible for or are interested in. Please select the savings program(s) you are eligible for or interested in. Keffer Mazda Huntersville appreciates your service and commitment to our country. Active Military can get $500 Bonus Cash toward the purchase or lease of a new Mazda: $500 Bonus Cash toward a 2018 or a 2019 Mazda vehicle. This offer is for a limited time, so see Keffer Mazda Huntersville today. 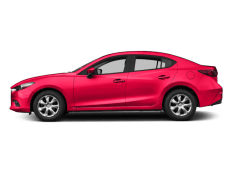 Military Bonus Cash Program $500 is good toward the purchase of a new 2018 or 2019 MAZDA3, MAZDA6, Mazda CX-7, Mazda CX-9, Mazda MX-5 Miata or Mazda MX-5 PRHT, and the 2018 or 2019 Mazda CX-5 or MAZDA6. No cash value. The Military Bonus Cash Program cannot be combined with other private offers (excluding Owner Loyalty) but CAN be combined with other public purchase incentives including, but not limited to, customer cash back, lease and APR incentives/offers. Must be a U.S. resident. Persons eligible for the Program include ACTIVE DUTY members of the U.S. Air Force, Army, Navy, Marines, National Guard and Coast Guard. Veterans and Retirees are not eligible. Family including spouse and children are not eligible. Proof of eligibility required (copy of Leave and Earnings Statement, Delayed Entry/Enlistment (DEP) Form, or Veterans/Retiree DD-214 Form; and copy of current driver’s license). Limit two purchases per person, per year. The offer is transferable within the owner’s household. Vehicle restrictions apply. See Keffer Mazda Huntersville for complete details. Life is good, and you deserve it. We at Keffer Mazda Huntersville, appreciate your hard work. We want to make all your Mazda needs simple and easy. We have made arrangements to provide you the comfort of one price New Mazda buying of any Mazda model you would like to enjoy. We also have simplified, and worked to protect your interests by simplifying the used car purchasing process from Keffer Mazda Huntersville. 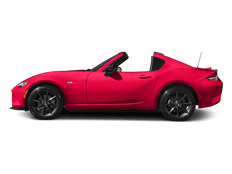 Any used Mazda for sale, Mazda Certified Pre-Owned vehicle for sale in our Huntersville area, we have set low pricing to assure you quality on a used Mazda’s in Huntersville, North Carolina area. There is a special “Senior Pricing Quote”. Within no time you will receive the special price by a specialist to help you through the process to delivery. Keffer Mazda Huntersville provides bonus cash for your purchase on another Mazda. 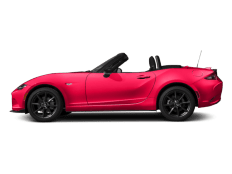 Current Mazda Owners can get Owner Loyalty Cash toward the purchase or lease of a new Mazda: $500 Owner Loyalty Cash toward a 2018 or 2019 MAZDA3, MAZDA6, Mazda CX-7, Mazda CX-9, Mazda MX-5 Miata (includes PRHT) and 2018 or 2019 Mazda CX-5 and MAZDA6. This offer is for a limited time. See Keffer Mazda Huntersville for details. Be graduating within 6 months or have graduated within the last 12 months from an accredited 2- or 4-year college, graduate school (including Doctorate), nursing school or trade school. Provide proof of graduation, such as a diploma or current transcript if graduating within 6 months. Provide proof of employment and income, or a letter from a future employer stating a start date within 90 days of purchase and starting salary. Payment cannot exceed 15% of applicant’s gross monthly salary. Maximum loan or lease cannot exceed $25,000. Must meet other credit and vehicle criteria. * For additional details and qualifications, please see Keffer Mazda Huntersville. Restrictions apply. Not all applicants will qualify. Keffer Mazda Huntersville is here to help you buy your first Mazda. If you have never owned a car and are looking to experience Mazda for the first time, you may be eligible for the Mazda First-Time Owner Program*. The Mazda First-Time Owner Program is intended to assist first-time car owners, with limited or no credit, to purchase a New or Certified Pre-owned Mazda2 or Mazda3 vehicle. See Keffer Mazda dealer to see how this program can help you purchase a new or Certified Pre-Owned Mazda. Request more information by using the form to the right. * Restrictions apply. Not all customers will qualify. At Keffer Mazda Huntersville, we are committed to supporting our Public School System and increasing the effort to provide quality education. With today’s school budget constraints, we understand how important your income is, and your commitment to the classroom. We want to help. We have prepared unique pricing on every new Mazda product. With 100’s of Used Cars, Used and Certified Pre- owned Mazda vehicles to choose from, we have arrange a Charlotte Employee Used Car Pricing grid for any used car you see in our inventory. Already own a Mazda? Take advantage of the teacher employee rewards, with special Mazda Service Discounts. Need a Mazda Part or Accessory? Contact our Parts Specialists for your discount Pricing. How do I get a Teacher Employee Price? Simply, fill our “Make an Inquiry” form to the right for all New and Used Teacher Employee pricing. Tell us what Mazda product you are interested in, and well provide you the savings. We Honor your Wholesale Warehouse Club Memberships at Keffer Mazda Huntersville! With Warehouse Club Membership you have access to exclusive discounts on countless products and services. As The Premier Mazda Dealer in Huntersville we understand membership benefits and provide honest pricing without hassle or frustration. Keffer Mazda Huntersville is here to help you! Our Mazda Dealership in Huntersville offers a great selection of new and used Mazda cars, Hybrid Cars (Green Cars) and auto repair services. Use your Warehouse Membership to get great pricing on every Mazda product available at Keffer Mazda Huntersville. Additionally, as a member, we always provide financing rates as they become available. Looking for a Mazda Certified Pre-Owned car or SUV in the Huntersville area? Or, shopping Mazda Certified Pre-Owned Mazda6? When it comes to Used Car selection in Huntersville, Keffer Mazda Huntersville offers the most extensive range of Mazda Certified Pre-Owned Vehicles. Our Mazda Certified Program offers a 150 point inspection, quality assurance, and extended warranty on all Used Mazda vehicles for sale in the Huntersville area. We offer much more than just Mazda, we also have a great selection of Used Toyota’s, Used Hyundai’s, and various domestic vehicles. You’ll save on any vehicle in our selection with your Warehouse Membership. We recognize that used cars priced under $10K or cheap used cars in Huntersville are in high demand. That’s why, as your Huntersville dealership, we always maintain a spotless, prime selection of local trade-ins for less than $10K. Enjoy Travel & Motor Club with Mazda Discounts. At Keffer Mazda Huntersville, exclusive benefits are important. Quality service, better experience from an award winning Mazda dealership in Huntersville, North Carolina. We are committed to providing you the very best. As a travel Club member you have access to special discounts on products and services. As Mazda dealer we understand, your membership will provides straight forward pricing on products with out the hassle or game. Let us help. 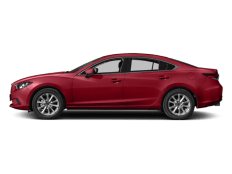 As an area Huntersville Mazda Dealership, with a great selection of Mazda including Hybrids (Green Cars) you can use your travel membership to get special pricing on every Mazda product. Also as a member, we will always provide you special financing, rates, and incentive as they become available. Looking fore a Certified Mazda in the Huntersville area? Maybe a Mazda6 or Mazda3? When it comes to Used Cars for Sale in Huntersville, Keffer Mazda Huntersville has one of largest selection of Used Mazda Certified Inventory in the area. 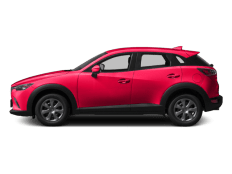 Our Mazda Certified Program offers a 150 point inspection, quality assurance, and extended warranty on Used Mazda for sale in the Huntersville area. We are more than Mazda, with a great selection of Used Toyota’s, used Hyundai’s, and many domestics, you will save with your warehouse membership. We know that Used Cars under $10k or cheap used cars in Huntersville, North Carolina, are in high demand, that’s why as a Huntersville dealership on Statesville Rd. we always have a clean, prime selection of local trade-in’s for less than $10K. At Keffer Mazda Huntersville we appreciate you. 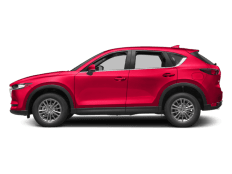 Keffer Mazda Huntersville has a special “CMS Employee Discount,” simply fill out the form to the right with the information on the Mazda you would like your CMS Employee Discounts price quote. Within no time you will receive the special price by a specialist to help you through the process to delivery. Special American Airlines discounts, simply fill out the form to the right with the information on the Mazda you would like your American Airlines Employee price quote. Within no time you will receive the special price by a specialist to help you through the process to delivery. 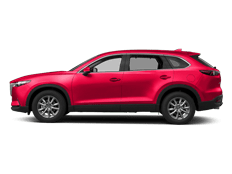 Keffer Mazda Huntersville has a special “Lowes Employee Discount,” simply fill out the form to the right with the information on the Mazda you would like your Lowes Employee Discounts price quote. Within no time you will receive the special price by a specialist to help you through the process to delivery. Special Bank of America Employee Discount, simply fill out the form to the right with the information on the Mazda you would like your Bank of America Employee Discount price quote. Within no time you will receive the price by a specialist to help you through the process to delivery.